Wishing all Aviation of Japan friends a Very Merry Christmas and a Happy New Year. In turn I wish you all the very best for the festive season and New Year 2012, even if in only part recompense for the effort you put into the best site on the subject in terms of bringing the results of your forensic and invaluable research to us all. To the researchers, modellers, enthusiasts and the casual 'surfer', I hope you all have a great festive season and New Year. Thanks for another great year of research and illumination and looking forward to what you may bring us in the coming year. Wishing you and yours the best this Christmas and New Years. Wish you and your family all the best in the upcoming 2012! Hope to see your new exciting findings and long standing mysteries solved in the upcoming year! Season's greetings from Kazakhstan, right in the middle of Eurasia! Thanks for the help about the Hiroyoshi Nishizawa's sleeve patch. 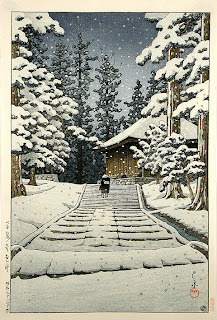 By the way, these art pieces you display at Christmas on your blog are beautiful. 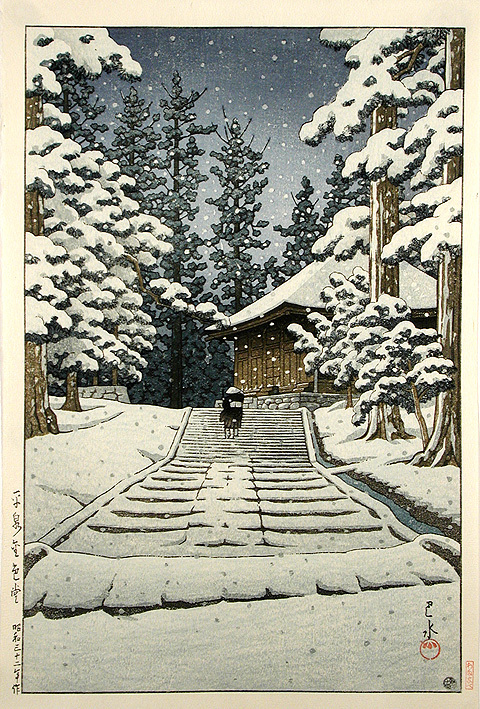 AJay the prints are woodblocks by Kawase Hasui, a personal favourite.